Working with cars is fun. But removing a stripped lug nut is a nightmare. It happens every once in a while. Sometimes, it happens when you least expect it! 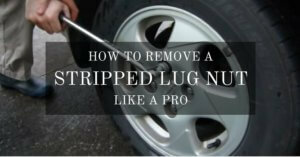 There are numerous anecdotes on the proper ways to remove a stripped lug nut. Some of them work, some of them don’t. Of course, there are a variety of factors that come into play like the type of lug nut used, or how much space you’re working on. You’ll be surprised that even those so-called experts at the local wheel and tire store will have difficulty removing a stripped, rusted or seized lug nut for fear of damaging your precious rims, or maybe damaging the studs and have it replaced at their expense. I once had an experience where I used a coupon for a free tire rotation at a local shop. I brought in my dad’s old Toyota Crown, because I was too lazy to jack the car and rotate the tires myself. To make a long story short, the mechanic complained about a seized lug nut when he was removing the left rear tire. He told me that I would have to bring the car elsewhere. I was perplexed! 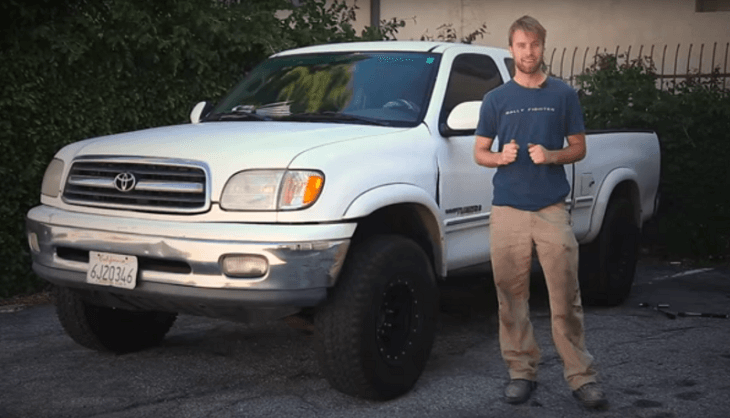 In order to save yourself the headaches of dealing with such a problem, here are the five simple steps on how to remove a stripped, seized or rusted lug nut. If you’re working in your own garage, then it’s fine. Just make sure that you have enough space so you can move around freely. If you were changing a flat tire on the side of the road and you found out that you have a seized lug nut, I highly suggest that you push or tow the car to an empty parking lot or gas station before attempting to remove the damn thing. Put the car in P or Park (if you have an automatic) and apply the parking brakes, especially if the car is parked at an inclined road. You will be applying a considerable amount of force when attempting to remove that seized lug nut, so make sure the car is anchored properly. What’s the number one reason why lug nuts get stuck or stripped in the first place? Rust. The next top reason would have to be overtightening the lug nuts. Again, you’ll be surprised how the experts at certain tire shops don’t know the proper torque numbers when tightening the nut. For this reason, it is best to saturate the offending lug nut with copious amounts of penetrating oil. WD-40 works fine, but you can use any type of spray-type lubricating oil. If you see a lot of rust on the surrounding areas of the nut, you can use a hammer to strike the lug nut a couple of times to help break off some of the rust. Go ahead and spray WD-40 on the lug nut after striking it a couple of times with the hammer. Let the oil soak for 5 to 10 minutes. This is enough time for the oil to actually penetrate the inside of the nut. Choose a 12-point socket head for extra grip. You will need all the biting force that you can muster in order to free the seized nut. Make sure that you choose a socket that is slightly bigger in diameter than the stripped lug nut. The actual size of the socket will depend on the size of the lug that you’re dealing with. Got your socket ready? Grab the hammer and ram that socket into the seized lug nut. You may need to hammer a couple of times before it’s nice and tight. Remember, the socket will need to be extremely tight. If you hammered the socket and it wiggles in place, you are using the wrong socket head. Now that the socket is nice and tight, attach the breaker bar to the socket. You know have the leverage to loosen that problematic lug nut. As an added measure, it would be best to grab the iron pipe and slide it over the handle of the breaker bar. You know have a few more inches of leverage to successfully loosen up that rusted nut. Using a counterclockwise direction, apply all the force you can muster to loosen the nut. Don’t do it so fast! You will risk grinding the socket to the bad nut. Apply gradual force until the seized nut loosens up and turn smoothly. The iron bar has the effect of multiplying the applied force on the breaker bar. You can use the breaker bar itself, especially if you’re using a long handle. But using an iron pipe is a trusted technique that works wonders every single time. Remove the nut and inspect the stud. If you see damage on the stud, it is better to have it replaced immediately at your local shop. Throw out the stripped lug nut and replace it with a new one. Problem solved! On some extreme cases, you might need to tack weld a similar nut over the damaged lug nut so you can grip it firmly with the socket head. But this runs the risk of damaging your wheels, especially if the lug nut is too short or is recessed under the hole. Other methods include drilling on the center of the stripped nut at low speeds to detach the lug nut from the stud. Again, this will probably work fine and is ideal if the above mentioned steps didn’t work. 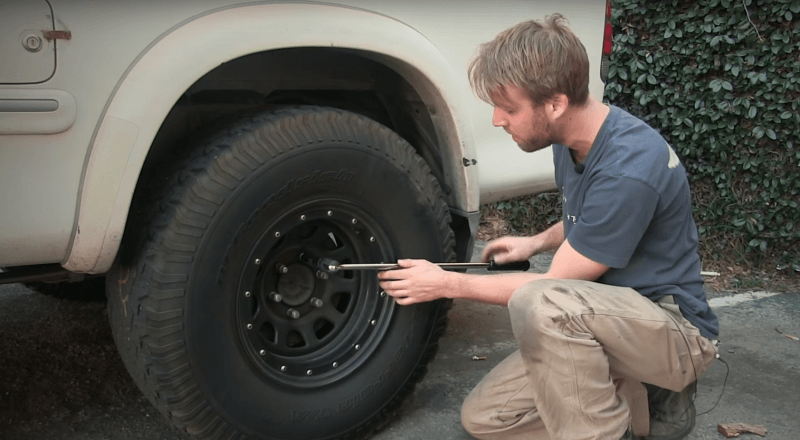 But with the drilling method, you will need to replace the stud since it will suffer minor damage from the drill.There are many ways on how to remove a stripped lug nut. The steps mentioned above should be your first line of defense before resorting to other extreme methods.